LifeMosaic, a Scottish-based non-profit, has launched a new series of short films to help raise awareness and build knowledge about climate change and the struggles of indigenous peoples around the world. LifeMosaic officially launched the new series, Fever – A Video Guide, this week, to coincide with the Continental Encounter of the Peoples of Abya Yala for Water and Pachamama in Cuenca, Ecuador, 21-23rd June 2011. 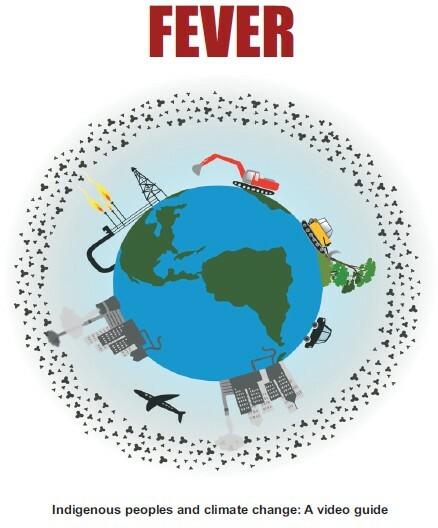 Fever – A Video Guide, consists of four short films which have been designed as resource for Indigenous communities, to help share information about climate change as well as the struggles and the strategies that communities employ to defend their rights and determine their own futures. In the films we hear the stories from communities in Ecuador, Nicaragua, the Philippines and Indonesia. “[The films can also] be used to bring indigenous peoples voices to audiences such as government officials; to all those whose work relates to indigenous peoples, forests and climate change; and in schools, universities, film festivals and other public events,” LifeMosaic adds. All four films are available in Spanish, English and Bahasa Indonesia (Other languages soon). They can be freely viewed or downloaded by anyone. DVD copies may also be requested by visiting LifeMosaic’s website and clicking on “Request a DVD”. The first film, Fever , explains the essential points of climate change and why it is so important to Indigenous Peoples. Watch/Download Fever (21 minutes). The second film, Impacts, shows how large-scale industrial projects like plantations, coal mining and oil extraction impacts indigenous peoples livelihoods and rights as well as contributes to global climate change. Watch/Download Impacts (20 minutes). The third film, Organization, provides examples of organizational tools and strategies used by indigenous peoples to protect their cultures, territories and rights. Watch/Download Organization (23 minutes). All four films could very well be considered essential viewing, because they help to put the global struggle against climate change in context. Most importantly, Indigenous Peoples are the most heavily impacted by climate change. They also the frontline of the global movement against climate change. That frontline exists on the ground, far away from comfortable offices in densely populated cities, in regions that most people have never hear about. In these regions, Indigenous Peoples are working to physically defend the earth from hapless outsiders who only want to steal what was never theirs to begin with. At the same time, they are adapting to ever-changing circumstances, initiating their own campaigns to strengthen and revitalize their communities, developing new models of conservation and preservation that every government should follow. And they aren’t doing it for grant money or to get more ‘likes’ on facebook. They are doing it because they must. The Earth hangs in the balance, along with their very existence.